Sunday, 26th May 2019 at 10.00am (finish around 1.00pm). Join us to look for the special birds in our spectacular area. Peregrines and Red Kites nest nearby, and are frequently seen, while Redstart and Pied Flycatcher nest on the reserve. Buzzard, Red Kite, Kestrel, Green Woodpecker, Skylark, Meadow Pipit, Stonechat, Wheatear, Blackcap and other warblers, and Raven, are also likely to be seen or heard. From junction of A489 and A490 in Churchstoke, take A489 towards Bishop’s Castle / Craven Arms, and take first turning on the left, signposted Old Churchstoke (with Brown Duck nature reserve sign). After about a mile, turn right, then right again after another half-mile and follow lane down valley to reserve entrance through gate and ford. It’s rough terrain, so please bring suitable footwear and wind- and waterproof clothing, as well as binoculars if you have them. If the weather might lead to the walk being cancelled, please check this page before setting off. Here is a poster promoting the event: Camlad Valley CWG Bird Walk 2019 If you have somewhere to display it, please do! We also have a series of events for discovering, identifying and enjoying local plants in the Camlad, Rea Valley and Upper Onny Wildlife Groups areas. All the events are open to anyone interested in plants, whether you are a complete beginner, an experienced botanist or are somewhere in between. A session on woodland plant identification and producing a species list for this woodland. An introduction to early grasses and looking at woodland plants. Discovering the plants to be found in roadside verges and monitoring the progress of last year’s verge management. Exploring some of the flower-rich grasslands in the area. A day surveying species-rich grassland and rush pasture and the small pearl-bordered fritillary butterflies might be flying too. A day surveying species-rich grassland and rush pasture. An ID day, looking at grasses, sedges and rushes. This is the time of year when we revive our annual project monitoring local populations of birds, with emphasis on curlew and lapwing. 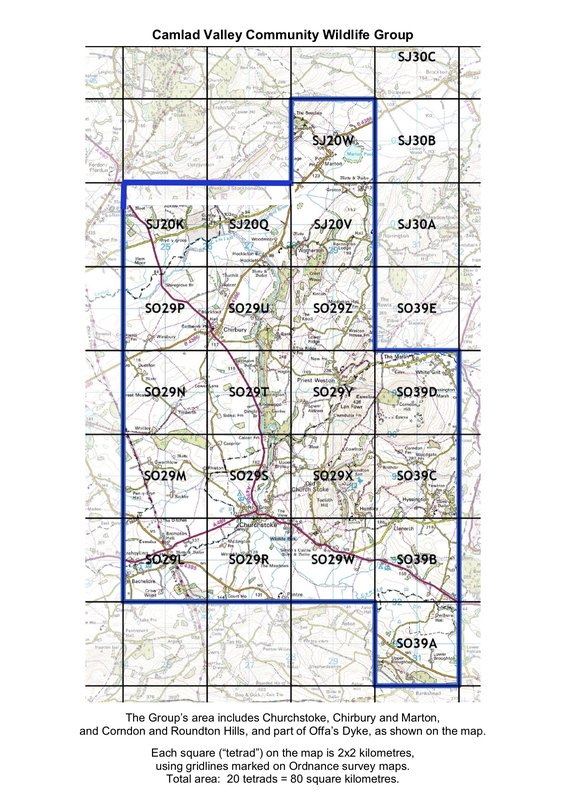 Under the oversight of Leo Smith, our area is divided up into tetrads consisting of four kilometre squares. Each tetrad is then explored by a volunteer on three dates within specific periods, who records sightings of any curlew and lapwing, as well as other bird species beyond the ubiquitous crows, pigeons, house sparrows and Canada geese. Here is a map of the tetrads covered by the Camlad Valley CWG. Our Bird Group met at the Horse and Jockey in Churchstoke on 18th March, with the result that volunteers were found for most of the tetrads. However, three still (as at 21 March) remain to be covered: SO29L, SO29N and SO29U. If any curlews are found during the second and third surveys, this would very likely mean there were nests in the locality, so a further survey would then be done between 6 and 21 July. Each survey should take around 2-3 hours. If you would like to cover one – or more! – of the remaining tetrads, please contact Leo (leo@leosmith.org.uk) for full details. Curlew and lapwing numbers have both declined markedly in recent years. 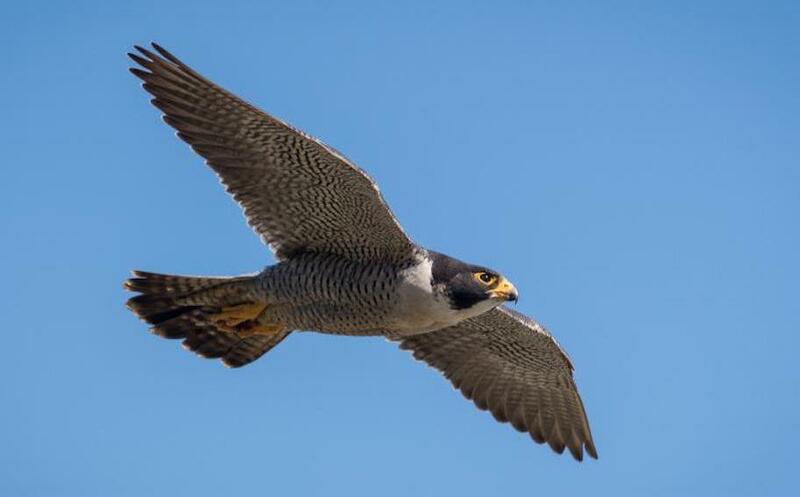 Efforts are being made to halt this decline, but underlying this activity is the need to record their numbers – even if this is a zero count in particular areas. This survey is therefore vital and if you get involved you will be helping to make a real difference.